Fire crews were called to the Hilton Hotel at 1001 16th Street about 5 a.m. after the fire in the laundry room activated the sprinkler system. 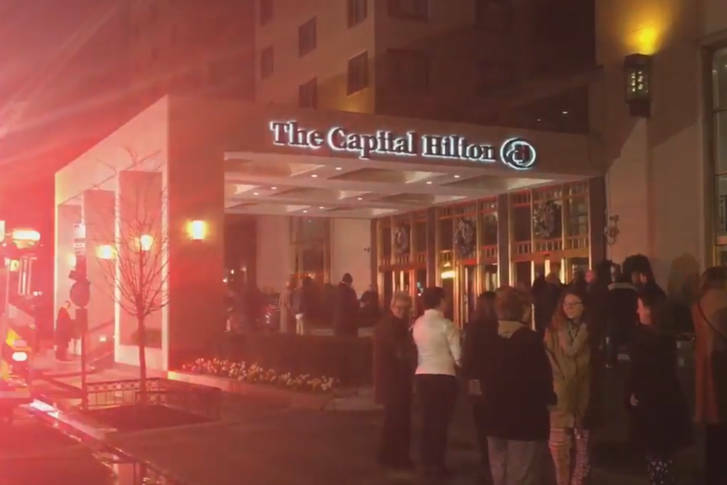 WASHINGTON — A small fire at the Capital Hilton in D.C. sent guests out into the streets Tuesday morning. Fire crews were called to the hotel at 1001 16th Street about 5 a.m. after the fire in the laundry room activated the sprinkler system. Guests have returned to their rooms. Investigators will determine the exact cause of the blaze.